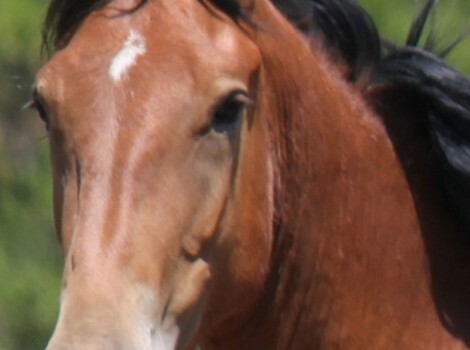 Return to Freedom provides a safe haven to almost 400 wild horses including 29 burros. 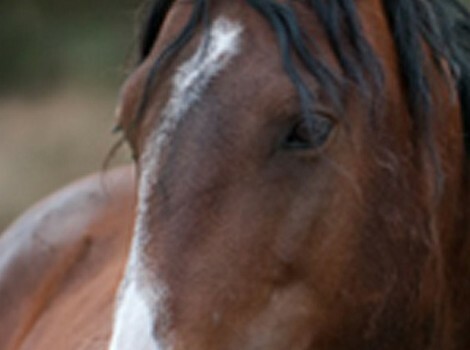 With roundups on-going, the sanctuary fills a vital niche to meet the immediate needs of rescue and sanctuary for wild horses and burros while providing a venue to educate the public about America’s wild horses and burros and solutions to protect them in viable free ranging herds for future generations. 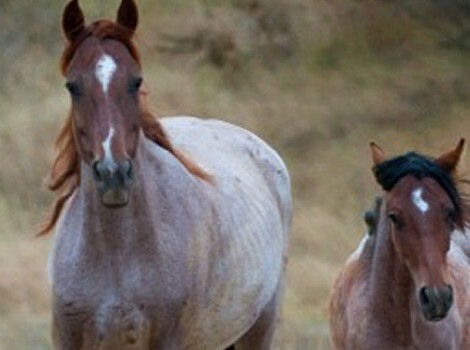 Return to Freedom pioneers innovative alternatives to standard wild horse management that can be applied on the range –and – advocates for viable solutions to prevent the removal of wild horses from their natural rangelands. 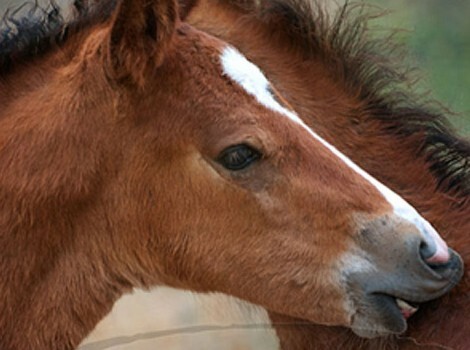 On 1500 acres on the Central Coast of California, we do our best to provide an environment for the herds to maintain the natural behaviors and social structures they knew in the wild.Return to Freedom’s Wild Horse Sanctuary was built on the basic foundation that wild horses are herd animals. Within the herd structure, bonds are formed and education is taking place all the time. In the wild, the herd ensures survival. 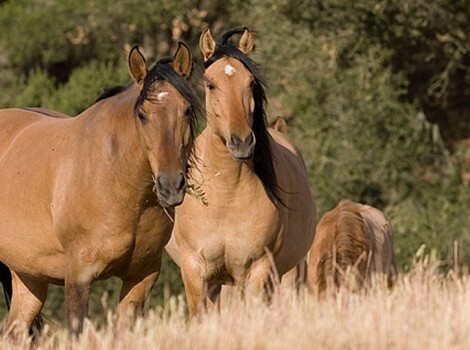 Therefore, our first priority is to keep wild horses in their original family bands or naturally selected social groups, to provide for their emotional well being as well as their physical care. Meet Our Herd Groups and Ambassador Horses. In addition to providing a safe haven where wild horses can live their lives as they would in nature, the sanctuary supports our education, conservation and advocacy work. More Than Just a Safe Haven . . . 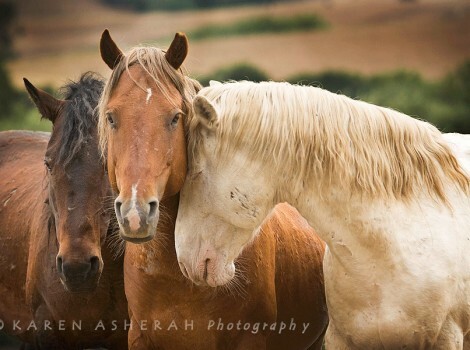 Committed to conserving the diverse bloodlines that define the American wild horse of today, Return to Freedom’s American Wild Horse Sanctuary manages herds with a variety of origins, most of whom arrived together in bonded social bands with a few additions over the years. The bands are maintained in their bonded family and social groups. 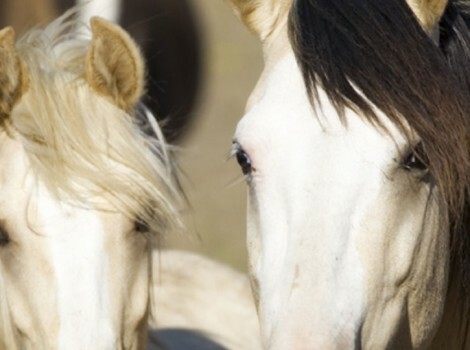 Whatever their historical, genetic or biological significance, the wild horses of today represent their current adaptation in their respective habitats. The bone density, the longer cannon bone and other physiological and sociological changes that have occurred make them what they are today. 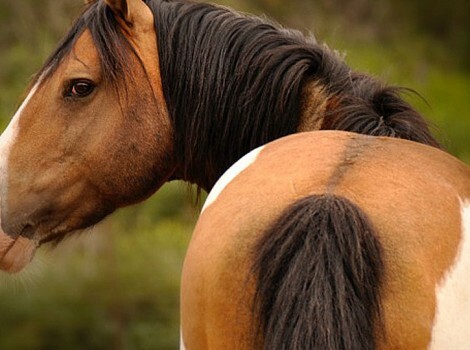 Geneticist Dr Gus Cothran observes that the past 20 years we have witnessed the disintegration of domestic horse breeds, yet wild horses continue to adapt and survive against all odds. This unique adaptability and hardiness simply cannot be replicated in domestic breeding situations. It is with this conscience that we recognize the American Wild Horse of Today as a re-introduced native wildlife species. 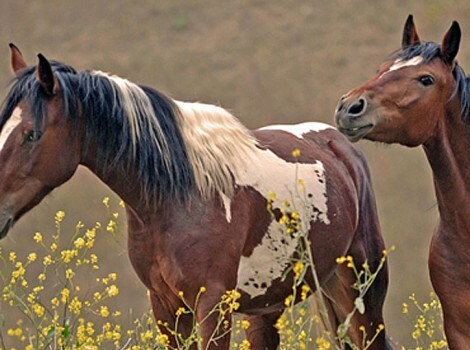 Their resilience throughout the years in the face of mounting threats, has earned the American wild horse their rightful place on the most uninhabitable areas of America’s public lands as expressed in The Wild Free Roaming Horse and Burro Act of 1971, the will of the people. 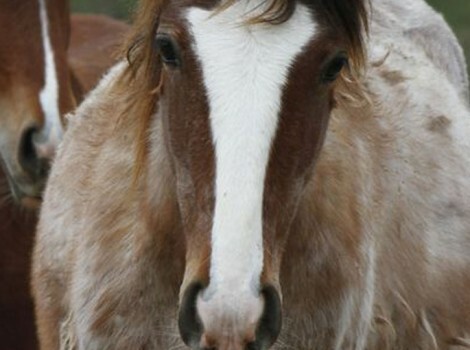 Galahad, A chestnut stallion from Nevada's Silver King Herd Management Area. Chivalry in the Great Basin. 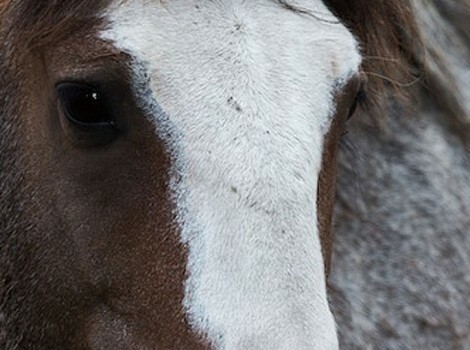 Tomahawk was one of over 1900 wild horses captured during the devastating 2010 roundup in the Calico Mountains Complex of Nevada. 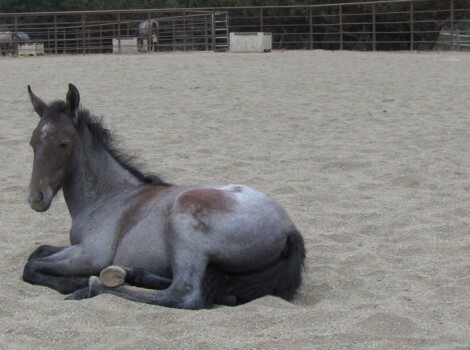 Viggo is a healthy and happy young colt that enjoys running and playing with his herd family. Willamina was found alone and abandoned shortly after birth. Sunfire is a strikingly beautiful roan tobiano stallion. Sevim was born on May 6th, 2013. Her mother’s name is Jilla, and her Father’s name is Freedom. Maza Zi, pictured here with his sire, was born at Return to Freedom on March 14, 2006. Maxmillian is an inquisitive and frisky colt. He is healthy and happy running in the pasture with his sisters. He takes after his father, being quite gregarious. Today, Manzana lives in one of the sanctuary’s large pastures with his family band and 10 more friends. 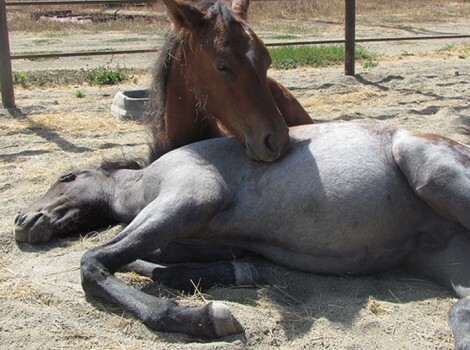 As an orphan foal, Little Blue was underweight, weak and exhausted. Haloka is a sorrel tobiano mare from the Choctaw native tribal line. Her dam (mother) is Metoaka’s Promise and her sire (father) is Chief Iktinike. El Presidente was born in 2004 in the vast remote ranges of Northwestern Nevada’s Black Rock Desert. This is Charlie. 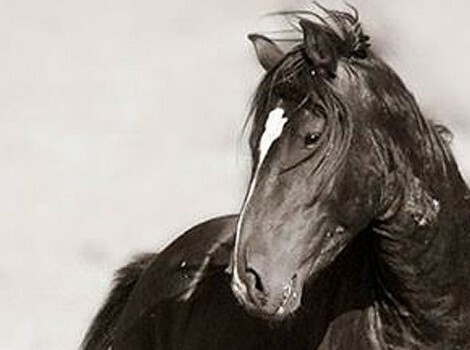 He is a handsome Virginia Range stallion. We named him after Velma Johnston’s (Wild Horse Annie’s) loving husband.